When Woody & Victoria Johnson first started their American dream in 1946 they promised each other that they would always give back to the community. As with their passion to delicious food with quality ingredients, that commitment to supporting our community remains the same today. Help us celebrate 70 years of supporting our community! The Phoenix Children’s Hospital Give-A-Thon falls on Wednesday, August 17th and Thursday, August 18th this year. We are proud to team up with this wonderful team in hopes of beating last year’s efforts of $1.47 Million! $0.70 for 70 Years: Join us at any Arizona location Monday, August 1st through Thursday, August 18th as we will donate $0.70 of every Kid’s Meal sold! Help us help the kids! Our goal is to raise $7,000. Incentive Gift Cards: Tune into KTAR News and Arizona Sports throughout the 19 Hour Simulcast for information on how to win a $20 Macayo Gift Card with your generous donations! We are providing these as gifts to everyone who pledges to give during designated segments. Another great opportunity to give back! September is Childhood Cancer Awareness Month and you can join the fight. 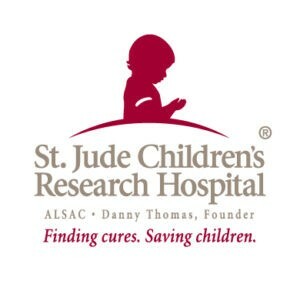 Help us raise $50,000 for the St. Jude Walk/Run to End Childhood Cancer on Saturday, September 24th. Macayo Family Team: As we strive for our goal of $50,000 we’ve put together a team of over 200+ Macayo teammates, all accepting donations at our Macayo Family Donation page. Help us pledge for our efforts at the Walk/Run on September 24th. Join us and join the fight against Childhood Cancer.